It all began with a single drop. Form it two primal forces emerged. Forces of life and death. They fought one another in a futile effort to renounce their allegiance, only to realize that to exist separately is against their nature. From that communion the Soul Tree was born and with it the world as we know it. So we're finally here - Just a moment ago Soulblight when live on Steam. 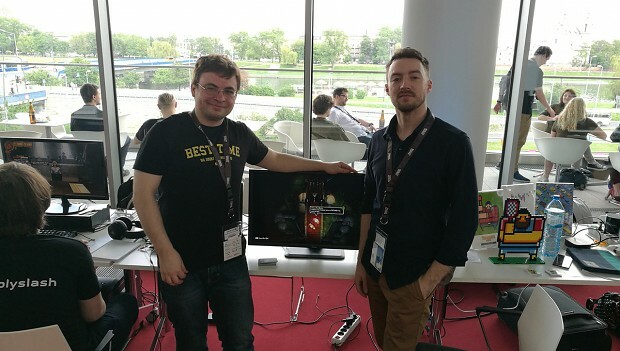 Today I wanted to tell you about a week when I got really annoyed with Kuba - Soulblight's designer, programmer and generally the heart and soul of the project. With our release date approaching Kuba wanted me to write something personal about our game and about what we wanted to say with it. I wasn't really happy with the idea, for two reasons. Firstly, everything I wanted to say with Soulblight I already said in the game using all the tools we had to convey it. I feel that retelling it here would spoil it for those who are actually going to play the game. And secondly, I don't think it's ever a good idea to interpret any piece of art form for someone else. That's something that has to come to every single person individually. But Kuba insisted. We argued a little bit about it, I tried to explain that I don't know anything about marketing, and of course as a writer I had to throw in "I'm not a salesman" somewhere into the discussion. But it still didn't change his mind. So I sat down and tried writing knowing that I will fail so that I could show him the results and say "See, I told you so!" I tried approaching it from many different perspectives. I started by explaining why we wanted to make a difficult game. The obvious reason being that those are the games that we ourselves enjoy. We like the challenge whether it be a From Software production or something conjured by the likes of Bennett Foddy. I would also slip in something about how what we wanted to say would not work had the game been easy. I started writing about what kind of a gamer is a rogue-like player? Someone who is willing to lose all the in-game progress with every attempt and what does that say about them and their determination? Then I started to wonder what would happen if they were presented with another way? A short cut. Would they take it? What if we tempted them enough? 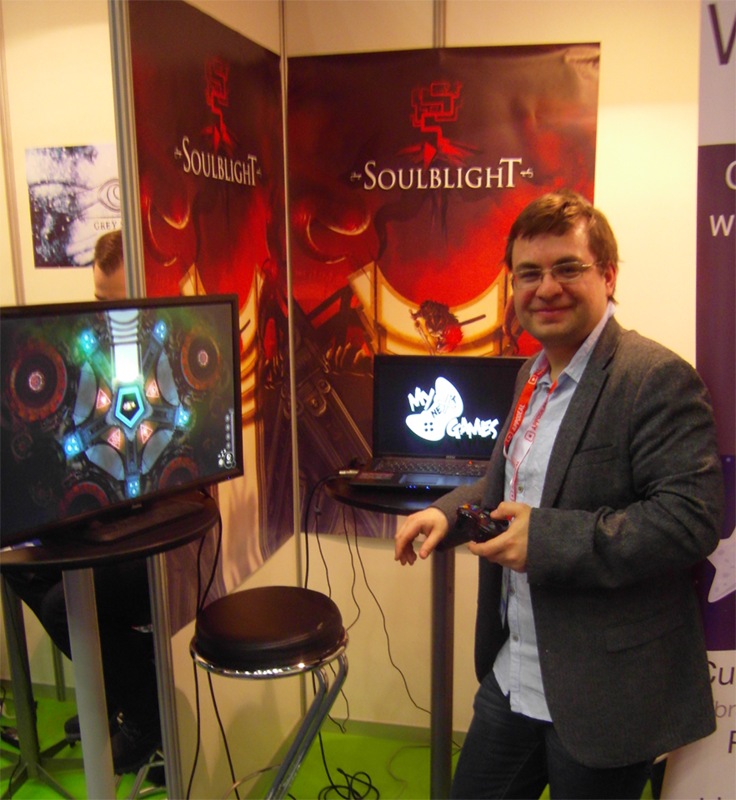 Then I touched a little bit on morality systems in video games and how we wanted to incorporate them in Soulblight. But again it seemed that with every word I wrote I got further away from what's my personal take on this game. So I wrote about how the idea of Soulblight came to be. I explained how Kuba surprised me when he told me about wanting to make a story-driven rogue-lite. I didn't expect that since it's not typical of a game of that genre. But I didn't feel that it was good enough either. I told Kuba that I don't know what else to do, but he annoyingly (to me at that time) said "keep trying and remember keep it personal". I felt hopeless and angry. I needed some way of venting my frustrations. So instead of writing I, naturally, started to procrastinate. After a while I decided to pick up a controller and play our game, you know to "look for inspiration". It successfully managed to distract me from what I was really supposed to do. So I played and I died a couple of times, as I usually do. But I didn't quit, knowing what's waiting for me as soon as I'm done. With each play through I got a little bit further. After a couple of hours of playing something unthinkable happened. I managed to beat that one boss that I always lose to. I couldn't believe it. I had to adjust myself in my seat as I continued to play. I got a little further then I beat another level and then another boss. That's when my palms started to sweat as I knew I was getting closer and closer to the end. Then another boss fell. Despite the fact that I knew exactly what would happen next I got nervous and a thought came to my mind "Oh my God, I'm going to do it! 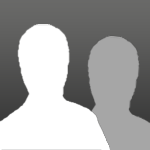 I'm going to beat this game!". After an evening of avoiding responsibilities I did it, for the first time since the beginning of the production process I managed to beat our game from beginning to end. 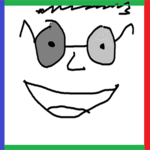 As a game creator you hope to invoke partilucar feelings in people playing your game. But because you yourself designed it, wrote it and seen it numerous times you can't know for sure if you achieved that effect. So the only thing you can do is to hope that it's there and that the players will know what you meant. And when I finally beat the game, despite hundreads of hours of testing I have a feeling that maybe they will. That's when I thought "Maybe that's something worth telling people about?". That's all I wanted to say. 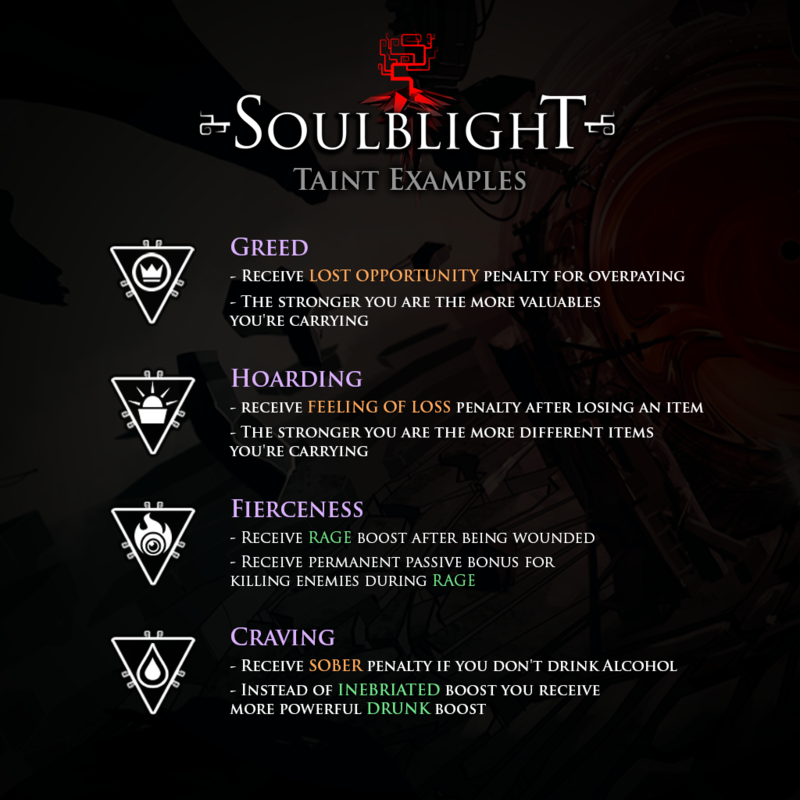 Sorry it took this long to say it, but if I was to shorten this whole thing to a single line, I don't think it would do us any good - "Soulblight - it's more fun than writing a paper". Lastly, if you got through this whole text, I applaud you. That's a good indicator that you don't give up easily, so maybe, just maybe you're the person we're speaking to. That's it from me. I really hope you'll enjoy our game. *Before writing this I didn't realize that I'm this childish. It's time for my first update here. I think the best way to start would be by explaining what is the idea behind my game and why I'm doing it. Video game RPGs are in the strange place right now In my opinion. These days every game with leveling mechanic calls itself RPG. We play those games traveling through awesome worlds maxing out our stats and grinding XP on every opportunity. Over the years though it became more mundane than enchanting. I look with nostalgia at my pen and paper RPGs memories. Back then gaining XP was only part of the fun, becoming our characters was the rest of it. Sometimes role playing stood in a way of solving the quest at hand, but we connected with our characters and they felt more alive that way. Video games are different. We cannot expect players to avoid fighting giant spiders just because their character has arachnophobia. That way they will lose precious loot and XP. They know the game will penalize them for that by becoming more difficult. If we want players to actually role-play the game need to encourage them to express this kind of things. Only Best RPG games menage do it with dialog options and branching story lines. To make it all believable the game need's to have tremendous amount of content. Every single outcome needs to be thought out and scripted. When me and my friends started Soulblight we simple knew there was no way that we can pule it off. We ware simple too few to do it. We started to look for a different, new ways to allow players to express they're characters. And this is how our Taint System came to be. Video game RPGs are in the strange place right now In my opinion. These days every game with leveling mechanic calls itself RPG. We play those games traveling through awesome worlds maxing out our stats and grinding XP on every opportunity. Yeah. Even as someone who's never touched a D&D tabletop, a game that hones more toward roleplaying roots sounds dandy. Classical leveling systems are fine, but since it's been done to death at this point, how we develop, grow, and play a role in said game still has a lot of room for exploration. There's a lengthier gameplay preview here, the trailer didn't tell me a great deal. I do like the atmosphere, plays off the darker lighting and contrasts it with luminous reds & greens. Don't know how I feel about the combat. Too hard to tell without trying myself, but I'm not quite sold yet. Noticed Block/Slam abilities, so at least it goes somewhat beyond the old slash and run? So, the "Cautiously Optimistic" category for me. Wouldn't mind seeing interesting uses of the randomized level assets beyond looking spooky, and a little more on what makes the melee worth the while. Keep pushing the game towards greatness, and you may have something special here. When in doubt, remember the words from my old friend Coco: "In order to be irreplaceable, one must always be different." Sounds like something from a facebook post, but it's true. Looks interesting. Will follow it on Steam, and look forward to more updates. This method of character progression channels our will to survive into actions in alignment with hero’s personality. The deeper into the Sanctuary you get the more varied taints you’ll be able to acquire. Think of it as if the dungeon itself was a skill tree of a kind. While making a choice you’ll have to be careful as it will shape your personality and experience to come. The idea and the world definitely sound interesting, however, I dislike rogue-lite or rogue-like games. I will wish you good luck however. This week I've decided to share with you a gif so you can notice all these little ambient animations we're adding. Although players rarely notice them while enjoining the game they are very important. Without them environments seem dead and artificial. 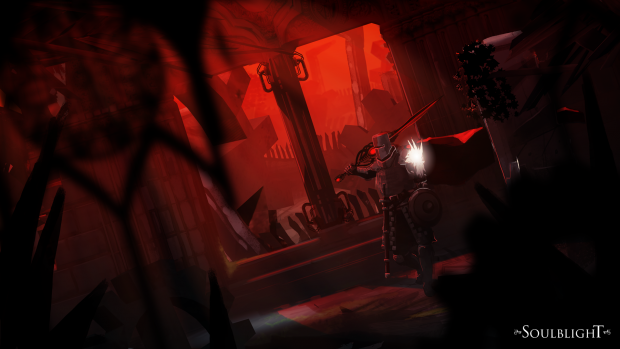 Because our game's combat mechanics in inspired by Dark Souls I try to play it every day after work . I do so relax and learn a bit more about it's design. I've discovered it's much more fun to do it in the company and that's why I started streaming. So how about it? 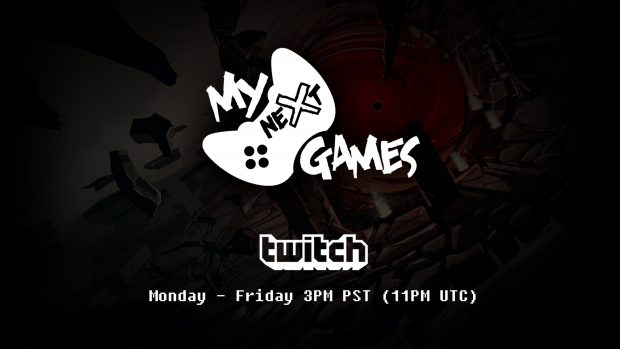 Want to join me in my gaming adventures? Please, make sure you have it proof-read. if you are trying for another Torment, text quality are paramount. Good luck. Both of your sample posts, from January and February have inconsistent wording for what seems to be the same thing. On the right card, from January 27, you use words boost and penalty, which makes the text easier to understand. On the left card, you do not, and the text reads odd. In the February 27 example you use different wording to express the idea "the stronger you are, the more valuables you can carry" on two examples of text. I like the string that I've quoted more than the other one. this text uses the words boost/penalty throughout, so it's way easier to understand. Heh, as someone who comes from a nation where so many are destroyed by alcohol, I am not fond of seeing Sober as a penalty, while being Drunk as a boost, but that's my personal thing. I am sure it comes across as real funny for others. The February post is our new take on explaining the taints. The idea is to use from now on this info graphic instead of the one from January. In the February 27 example you use different wording to express the idea "the stronger you are, the more valuables you can carry" on two examples of text. I like the string that I've quoted more than the other one. Well by using a bit different string I was trying to communicate that the mechanic in thous two taints is a bit different. 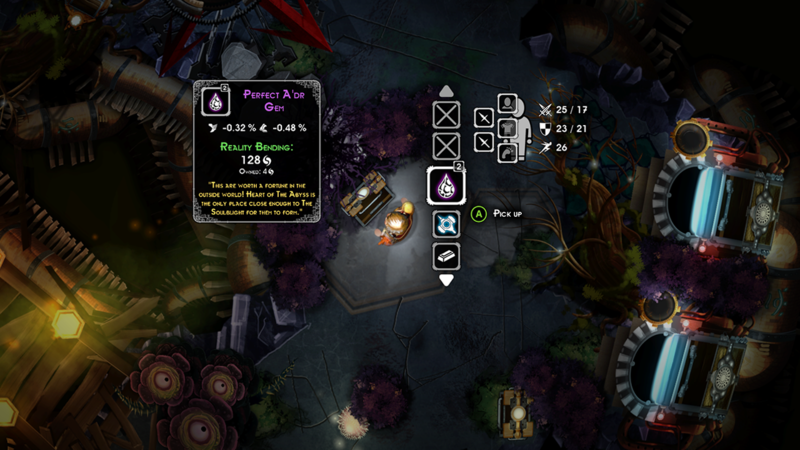 In Our game you cannot sell things so only items like gold and silver coins have actual value. 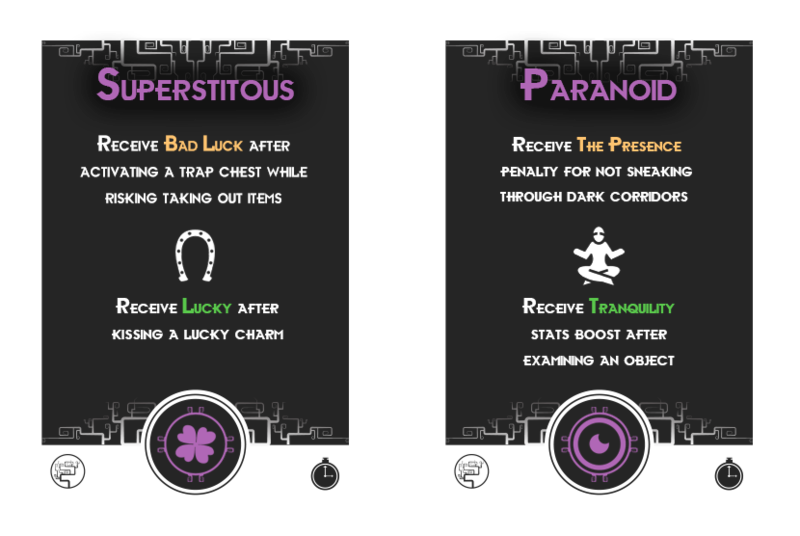 The Greedy taint rewards you for the value you've accumulated during play through. For character with that trait 100 silver coins grand bigger boost then a single one. Hoarder on the other hand doesn't care about value. His strengths is increased by the amount of different items he has. His boost is bigger when he's carrying an old horseshoe and some poisonous barriers then any number of just silver coins. Heh, as someone who comes from a nation where so many are destroyed by alcohol, I am not fond of seeing Sober as a penalty, while being Drunk as a boost, but that's my personal thing. During your journey through the sanctuary you’ll come across rare A'dr gems that can fuel a mysterious process of transmutation. Legend tells that some of thous crystals can also be infused with a human soul. Passed week was an intensive one but it was definitely worth it as we've reached the ALFA! 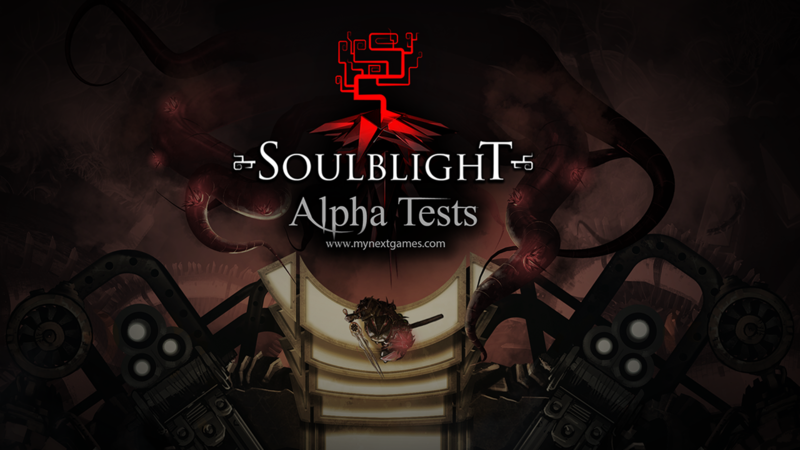 Soulblight Alpha Tests - Want to help us? 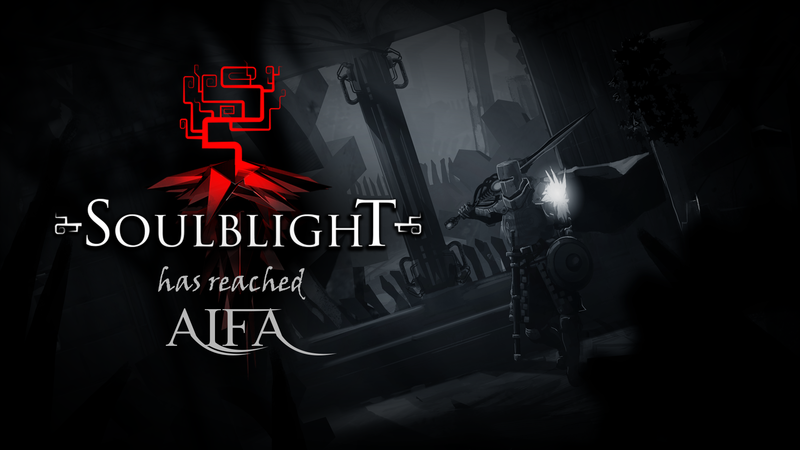 As you might know Soulblight has reached Alpha recently. Now it's time to begin some tests. Want to help us? Sign up for our newsletter. Every monday we'll randomly choose few people from our newsletter list and send them an invitation to Soulblight Inner Circle Accepting means you'll receive a demo steam key. It'll gives you access to a short part of the game that we'll update every couple of weeks. Along the steam key you'll also receive an invited to a special Discord channel. There you'll be able to talk to us and help us decided on the direction we'll be taking the game. Don't want to wait your turn in our little lottery? 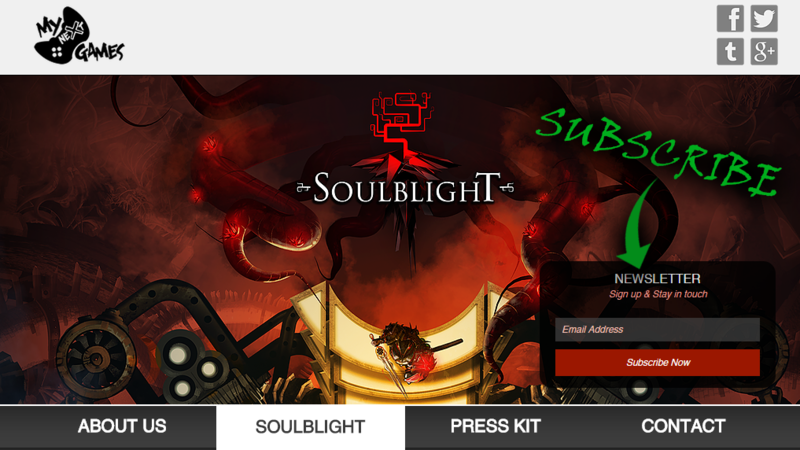 You don't have too Just tweet about our game using the #Soulblight tag and send us the link. The person that scores the highest number of retweets that week will receive an invitation as well. Be careful though, the environment might be traitorous. One wrong move and the sound you make will alert your prey. Second week of alpha test is behind us. So far everything seems to be going well. 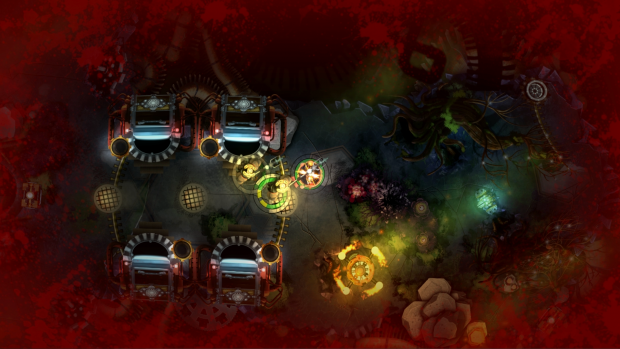 Besides clearing out few minor bugs we've added new combat action - dash (you can see it on the gif above). It's effectiveness scales down with the amount of armor your character is wearing. This allowed us better differentiate play style of heavily and lightly equipped characters. Thanks to our testers we've been also able to better evaluate the difficulty of our game. It seems our complex mechanics tend to confuse players at the beginning. 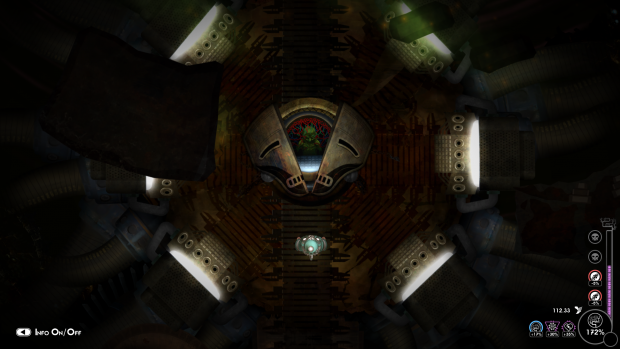 To smoothen the difficulty curve without lowering it all along we've decided to create a short introductory level. Don't worry you won't have to play it over and over again with every run It will launch only when you play the game for the first time.